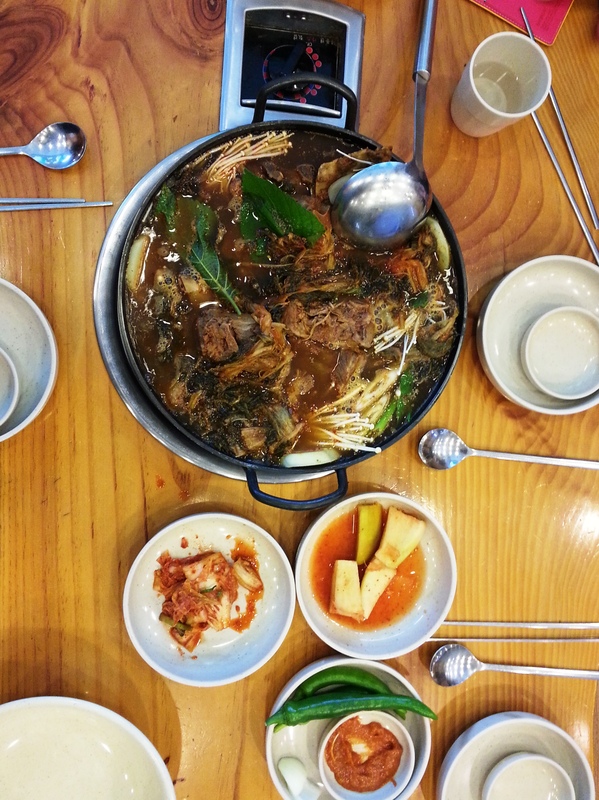 Usually, bibimbap is served either cold with a fried egg on top or in a sizzling hot stone pot with a raw egg which cooks when you mix everything together. 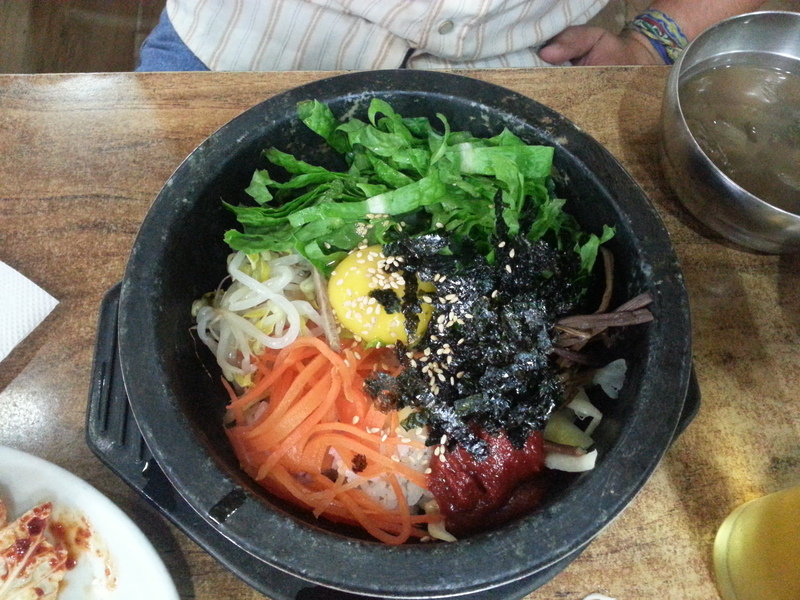 The latter, called dolsot bibimbap, is my favorite. The stone pot is lightly coated with sesame oil and because it’s so hot, the bottom layer of rice gets slightly crispy. 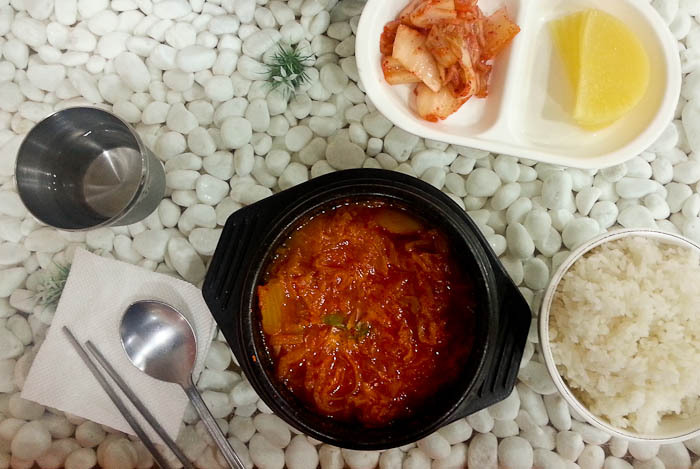 Gochujang (spicy red pepper paste) is typically served right on top in the bowl alongside the vegetables and the egg. 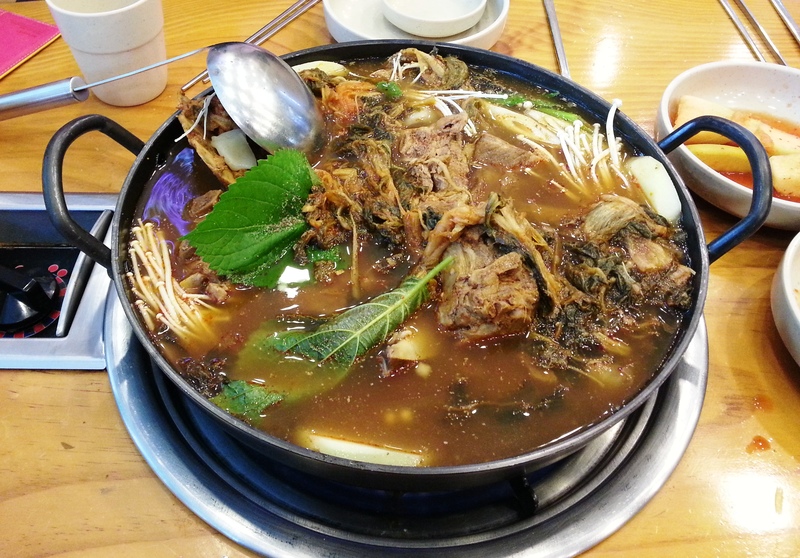 Once mixed together thoroughly, you’re in for spoonfuls of deliciousness (yes, Koreans eat bibimbap with a spoon, not chopsticks). 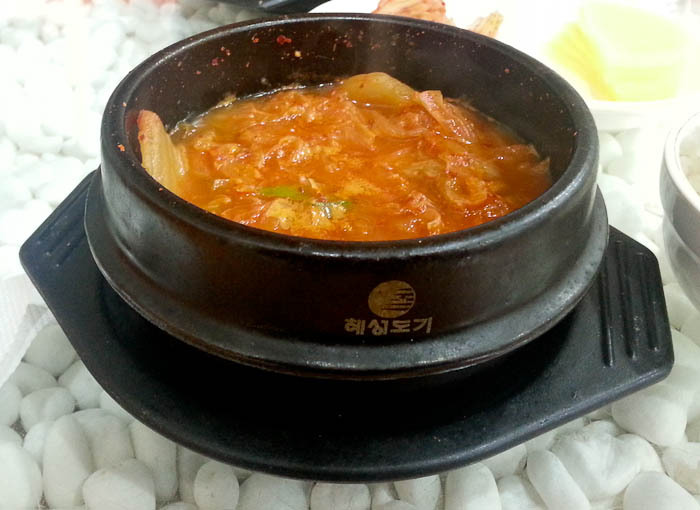 Dolsot bibimbap is served in a sizzling hot stone pot. The raw egg starts to cook when you mix everything together. 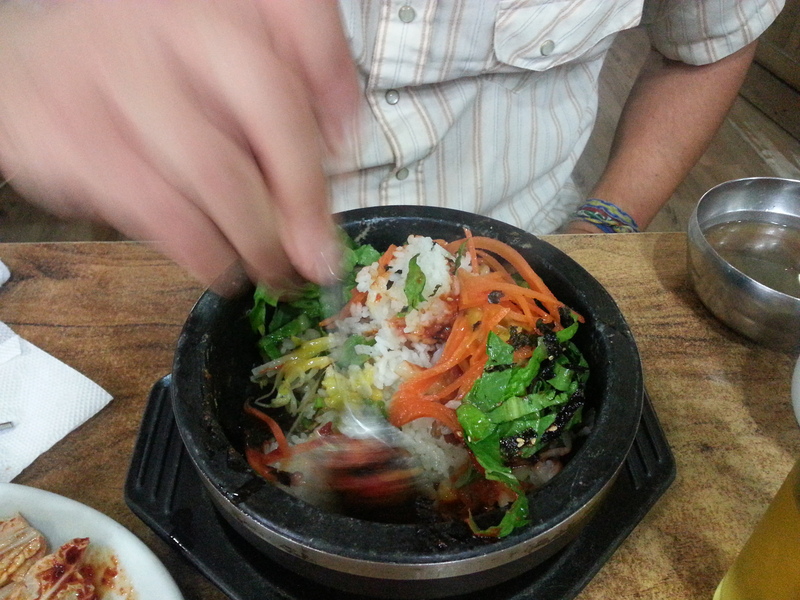 Before eating bibimbap you must thoroughly mix everything together. 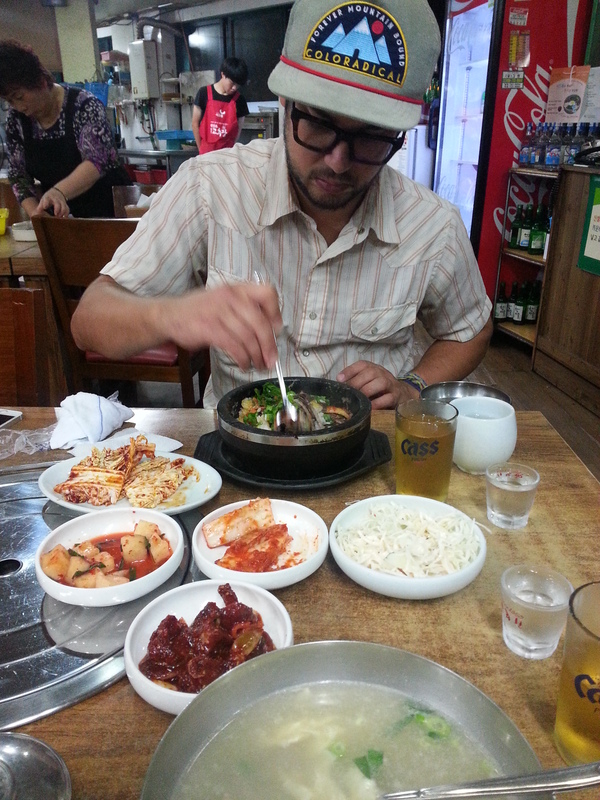 David’s first time enjoying bibimbap, which was of course accompanied by an array of side dishes (banchan), as well as beer (maekju) and soju. Aside from my experience during a four week TEFL course in Thailand–Samui TEFL, a program I highly recommend–I had never taught before coming to Korea. Surprisingly, teaching experience is not a requirement to teach for the English Program in Korea, you just have to hold a four year degree in, well, anything. I was a bit nervous during the first week or two of teaching here, however I’ve settled into the daily routine and am finally getting the hang of it…I think. 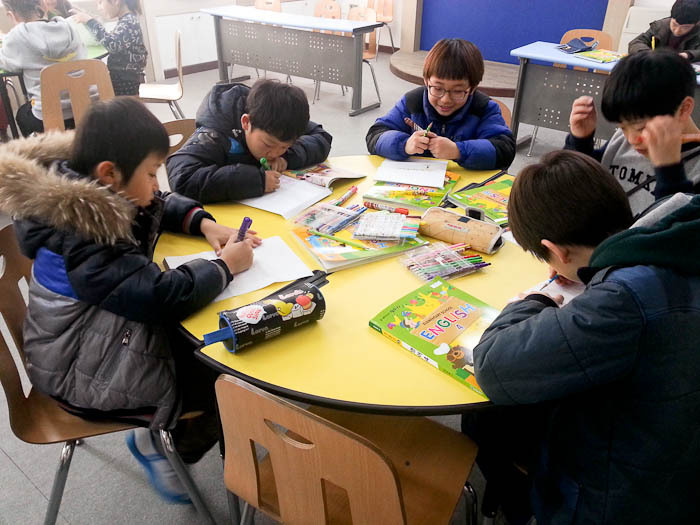 Midterms are next week, we’ll see how their English scores are (yes, elementary students in Korea take midterms). I teach at two different schools which first sounded quite overwhelming to me, but it actually adds some variety to my week and let’s me experience both a small school and a really small school. I have one co-teacher at each school that aids in teaching and interpreting. 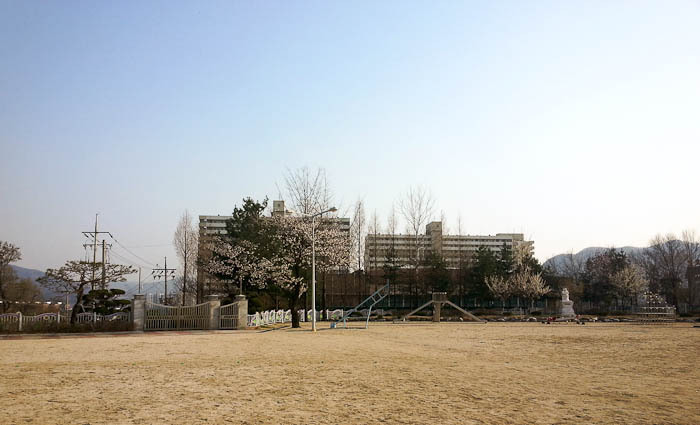 My main school, Namshin Elementary, is just a five minute walk from my apartment making my commute a breeze. I teach there on Mondays, Tuesdays and Thursdays. My day starts at 8:30 am and wraps up at 4:30, however my hours spent teaching in the classroom vary each day. 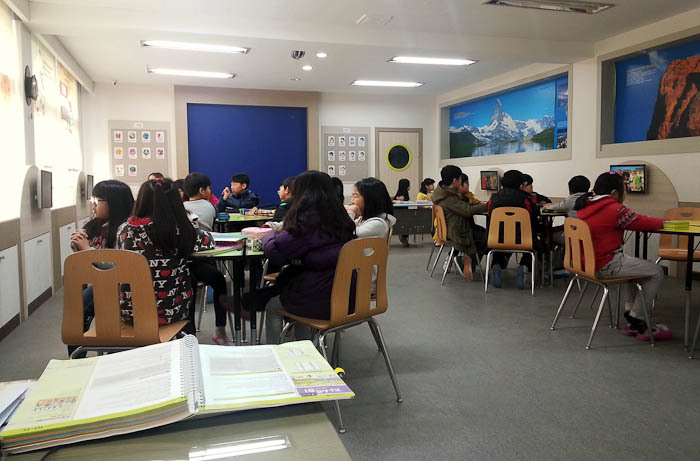 This semester at Namshin I’m teaching grades 4 – 6 and have about 24 – 29 students per class. On my busiest day I teach 6 classes, on my quietest day I teach just 3. 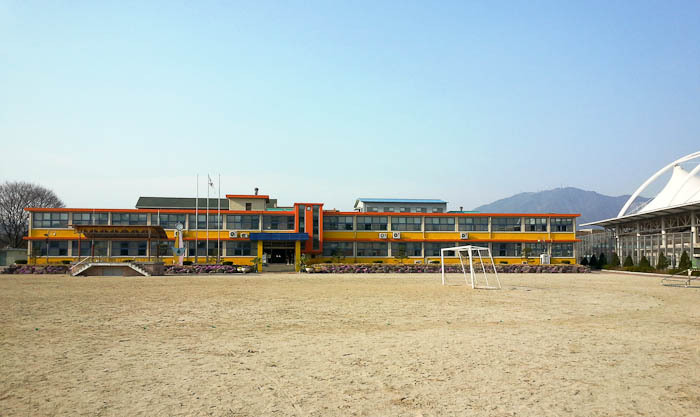 My second school is Daejang Elementary which is about a fifteen minute car ride north of Eumgseong. The 6th grade homeroom teacher lives in my apartment complex so she kindly gives me a ride when I teach there on Wednesdays and Fridays. 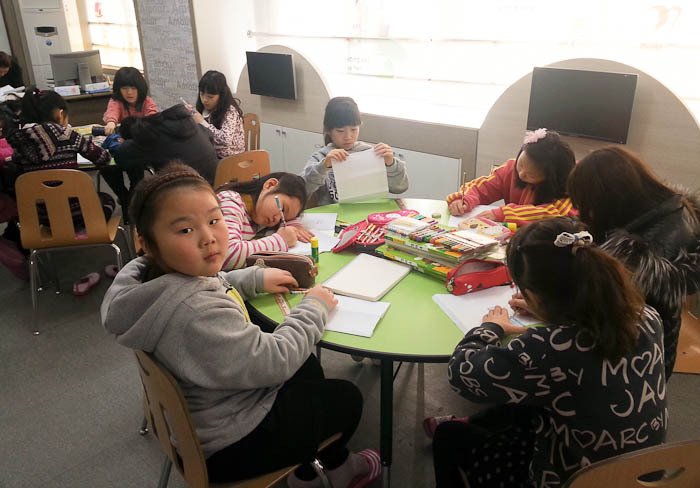 Daejang only has 43 students in the entire school, so my class sizes for grades 3 – 6 range from 5-8 students which I really enjoy. I’ve actually been able to learn all their Korean names. When I’m not teaching my day is spent lesson planning, desk warming (code for look busy when you don’t have anything to do) and playing volleyball with the other teachers and principal. And by volleyball I mean the kind where it’s totally cool to kick the ball over the net and score a point. Lunchtime, which I thoroughly look forward to everyday and do in fact miss on the weekends, starts promptly at 12:10 each day. Even though I don’t know what I’m eating sometimes, I will say the meals are delicious and healthy (more on that later). Just the other day I was told by my vice principal that I have excellent chopstick skills. Now I just need to work on my Korean language skills, as I never would’ve understood the compliment had it not been translated by my co-teacher. 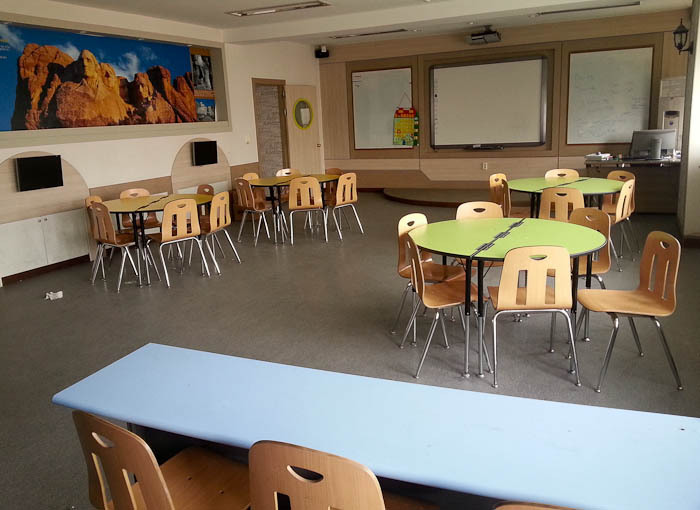 One of two English classrooms at Namshin. View of the schoolyard with my apartment building in the background. “Emily Teacher” by my artistic students at Daejang. 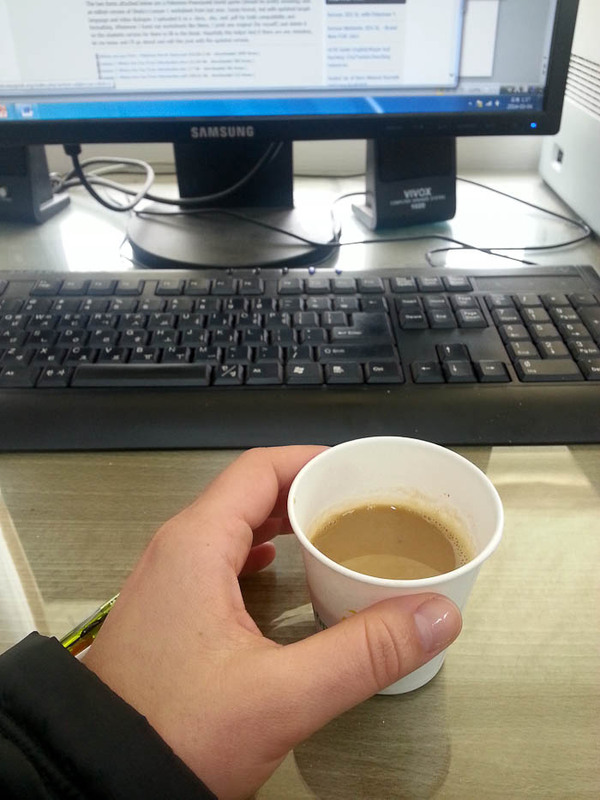 My afternoon “cup” of coffee…instant coffee, a Korean favorite. Mmmmm. Grade 5 at Namshin, watching an informative video. 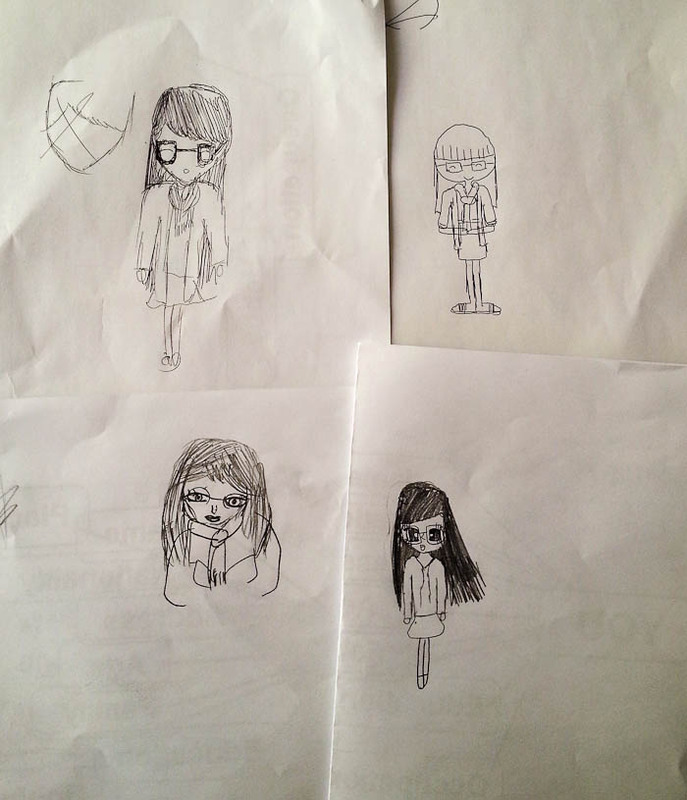 Grade 4 girls, working on their English name tags. 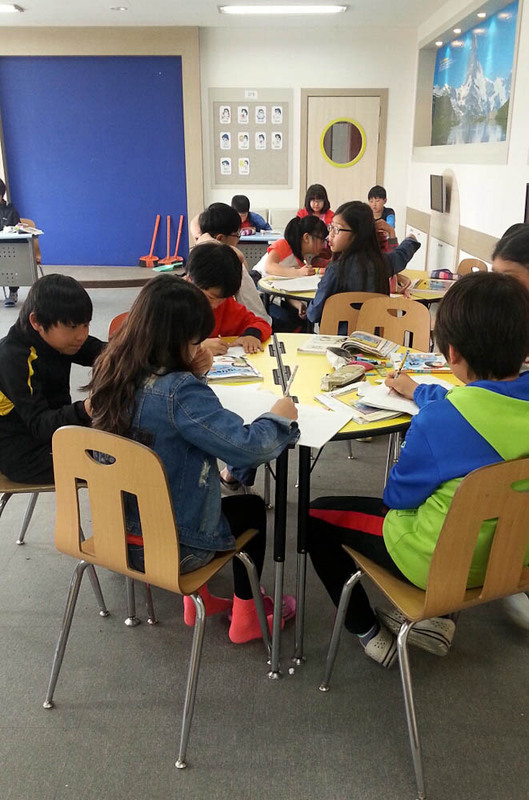 Grade 4, working on their English name tags. Grade 5, busy with an activity. 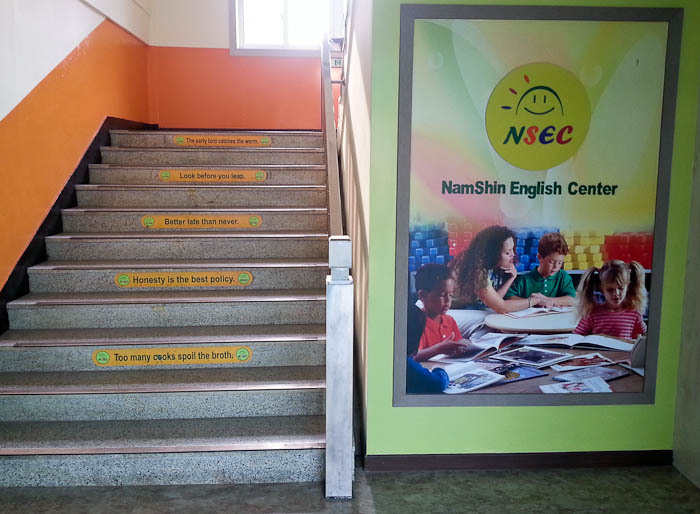 The stairs leading to the English Center at Namshin, complete with English idioms. 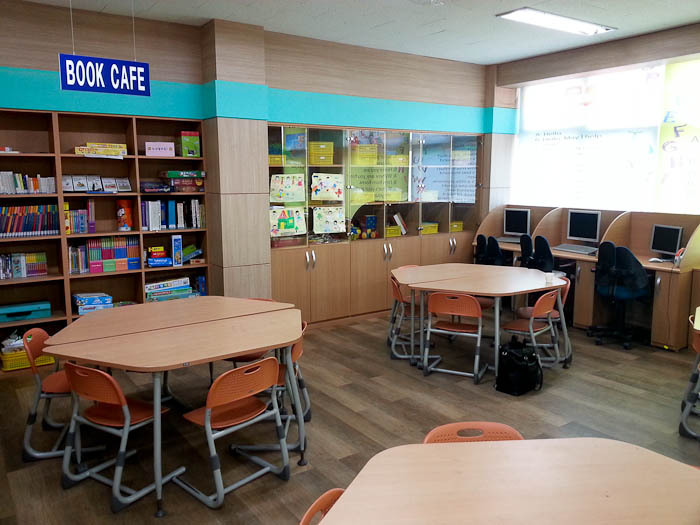 The “Book Cafe” in the English room at Daejang. 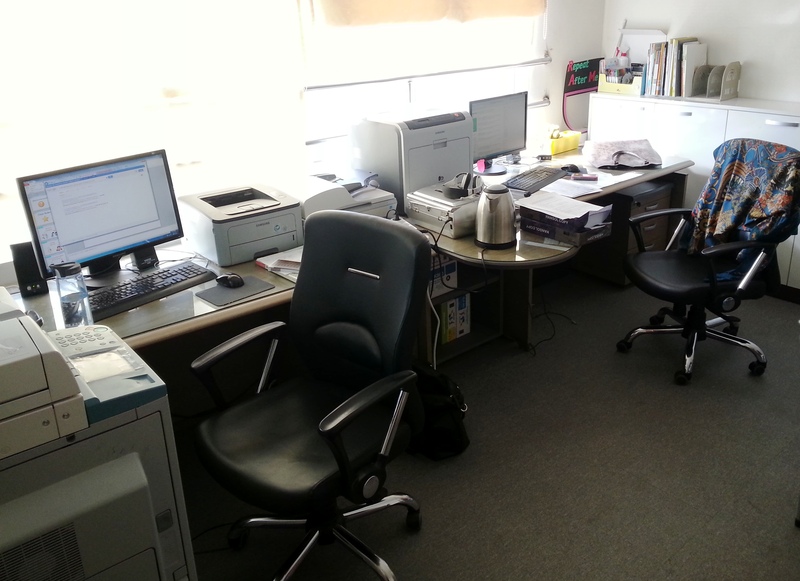 The office I share with my co-teacher at Namshin. It has windows! 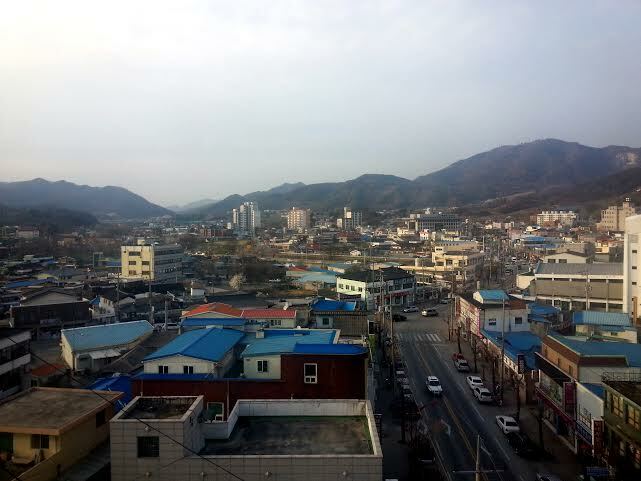 I was placed in Eumseong, a small town located in Eumseong County in Chungbuk Province. Chungbuk (also known as Chungcheongbuk-do) is in the middle of Korea and is the only landlocked province. There are about 19,000 residents in my town and approximately 96,000 within the entire county (for some perspective, South Korea has 50 million people living in roughly 38,000 square miles–that’s close to the size of Indiana). Eumseong county, along with most of Chungbuk Province, attracts very few tourists and does not see many foreigners. As a result I get stared at, a lot. Not in a critical way, just a very curious way. Koreans tend to be very friendly and I find it helps to just smile a lot. 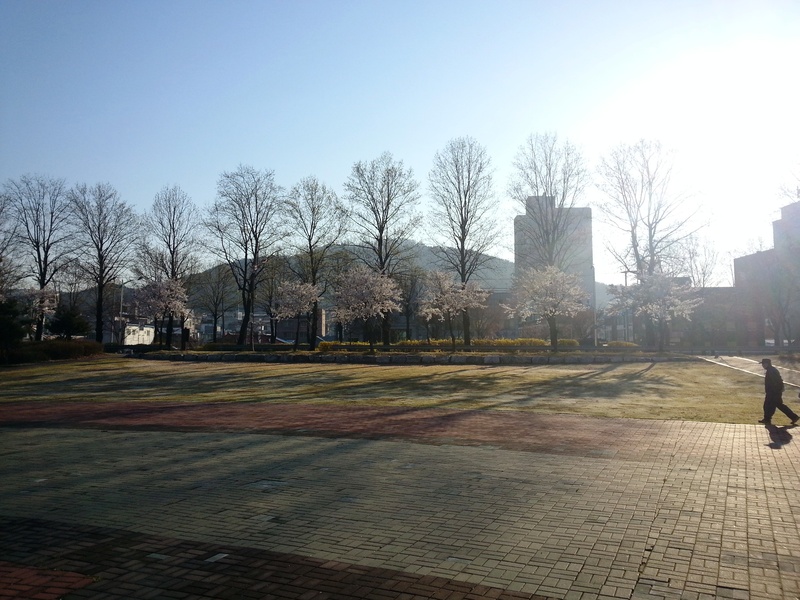 Early morning in Eumseong’s main park near the river. 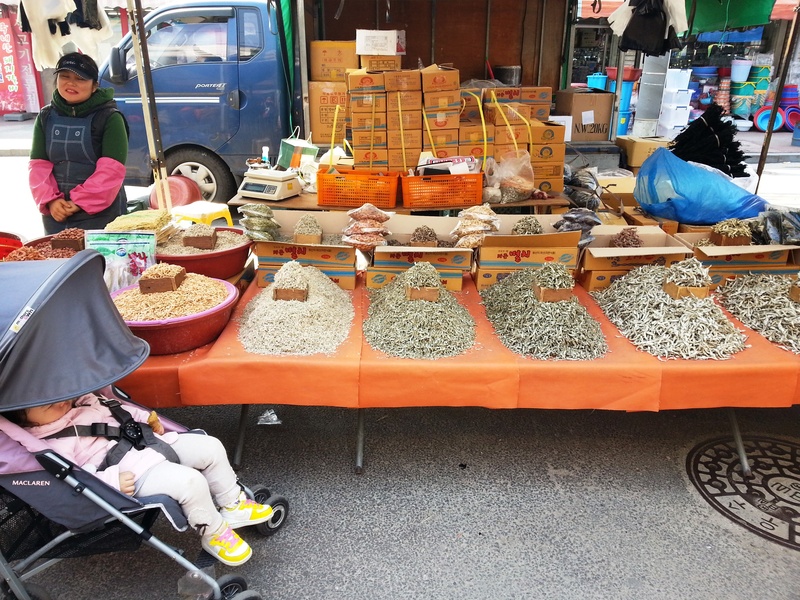 I’ll admit I was a little disappointed when I found out I was placed in a rural area, but there are actually quite a few positive aspects to living in Eumseong. Firstly, I never have to worry about getting lost as I can walk anywhere I need to go. 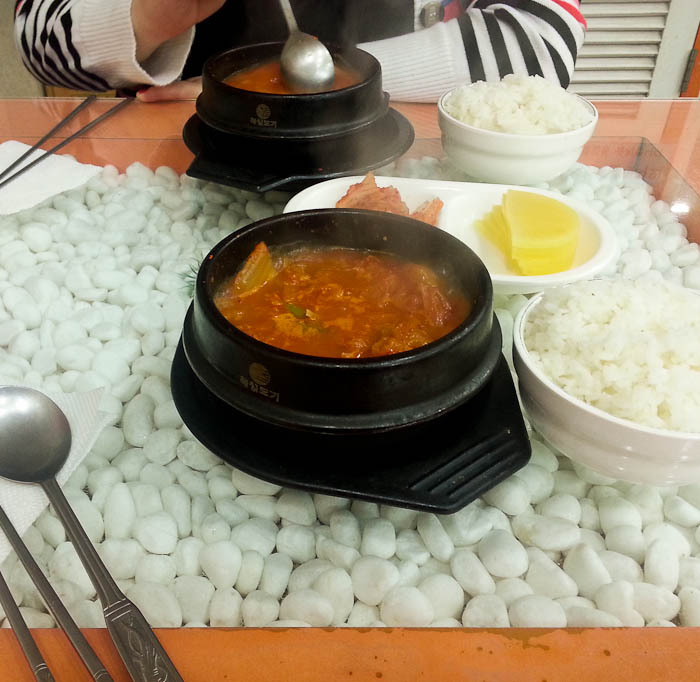 Secondly, it’s easy to find cheap, authentic food (I just have to play a guessing game when ordering). Thirdly, a small town means small schools which also means my class sizes are small. Anytime I feel the need to seek out city life (night life in particular) or want to explore another part of the country, I can easily hop on a bus or a train. 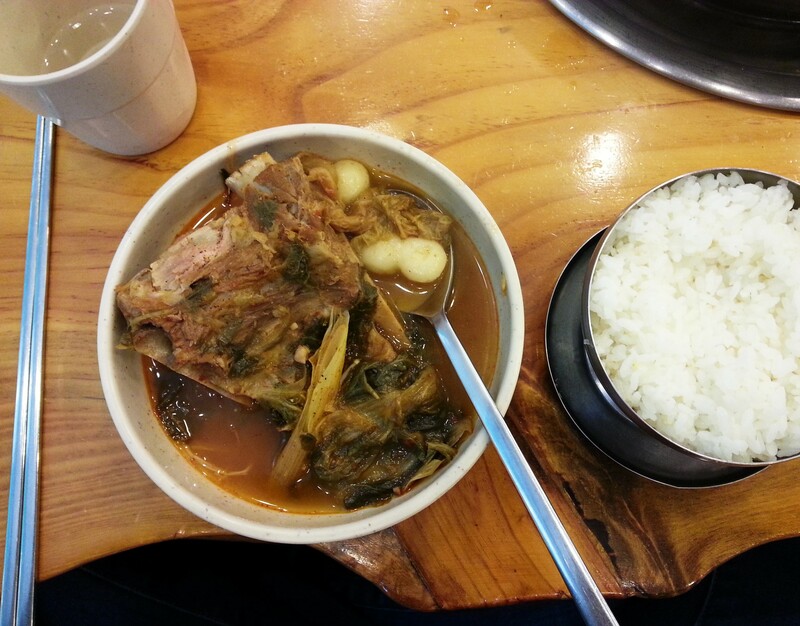 Plus I get to experience living like a local Korean, or at least more so than in a big city. 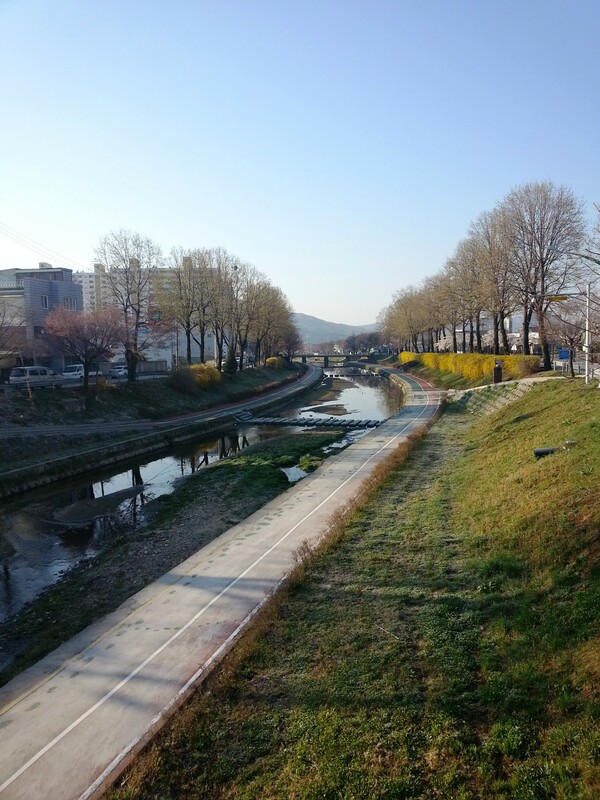 The small river and jogging path that run through the middle of town. 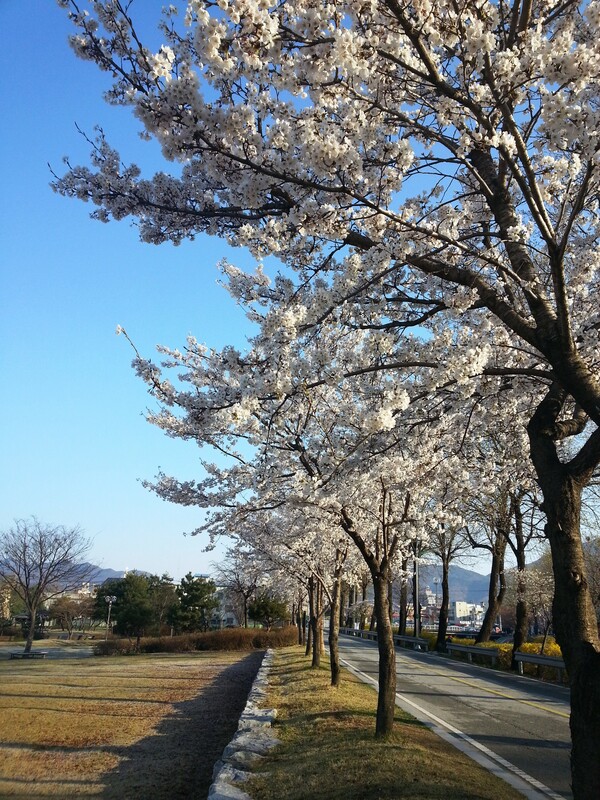 Spring has finally arrived in Eumseong! 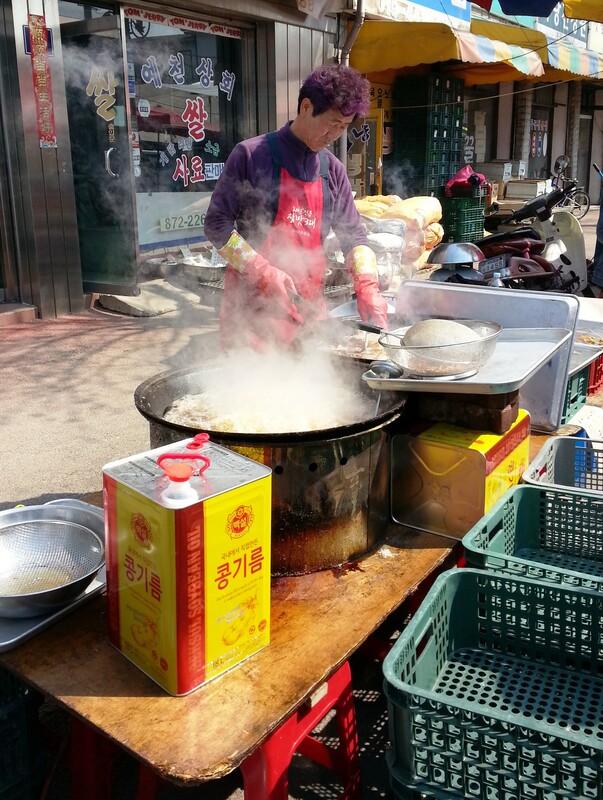 The best fried chicken at the local street market. And that hair! It matches his purple shirt! 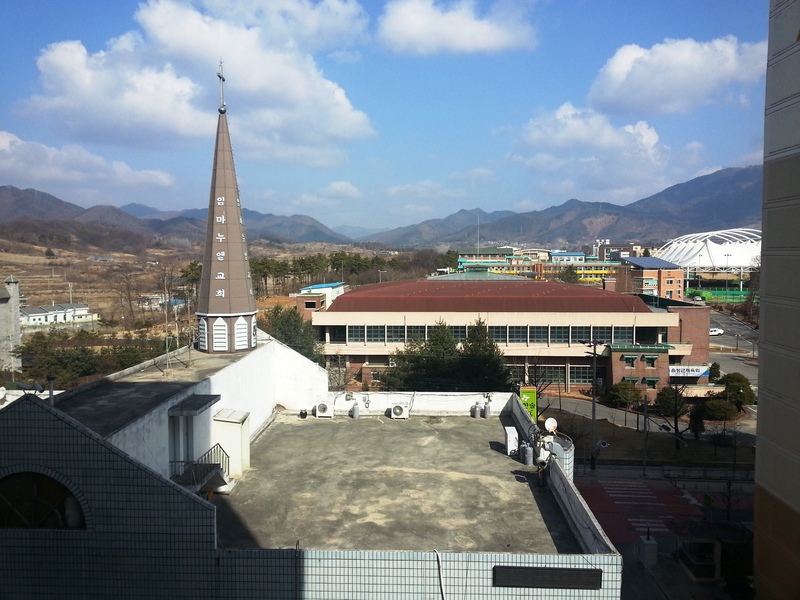 View from my apartment building in Eumseong. My main school, Namshin Elementary.